A series of crises unfolded in the latter part of the first decade of the 21st Century which combined to exacerbate already profound conditions of global economic inequality and poverty in the world's poorest countries. In 2007, the unsound lending practices that caused a collapse in the US housing market ushered in a broader economic crisis that reverberated throughout the global financial system. This economic shockwave had a global impact, triggering not just instability in other industrialized countries, but also in their developing world counterparts, also highlighting deficiencies in the current structures of global governance to protect the world's poorest and most disadvantaged. 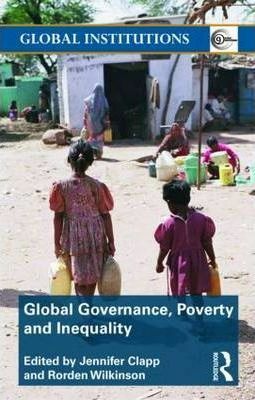 This book offers answers to questions raised about the role of global governance in the attenuation and amelioration of world poverty and inequality. The contributors interrogate the role of systems of governance at a time of global economic crisis and continuing environmental degradation against a backdrop of acceleration in inequalities within and between communities and across the globe.